The Lights, Camera, AFRICA!!! Film Festival returns in its eighth year with a focus on the politics of Ethnicity and Identity as well as Protest and Resistance. 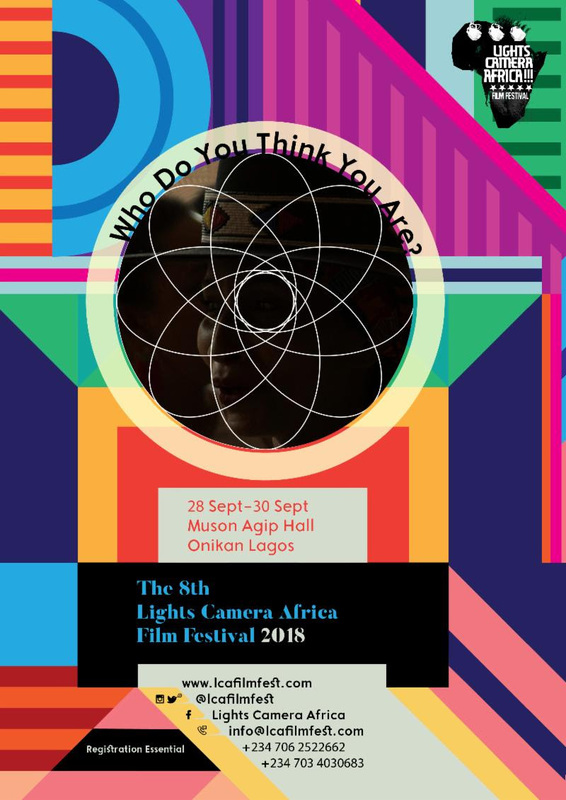 It will run from 28 - 30th September 2018 at the MUSON Centre, Lagos Proceeding under the umbrella theme of Who Do You Think You Are?, this year’s Lights, Camera, AFRICA!!! Film Festival seeks to facilitate interrogations of self and more reflective perspectives of our shared humanity. It is our thesis that self-knowledge - of history, of culture - situates, locates and informs communities, countries, and civilizations. This is because to take away a people’s history is to take away their power. According to a statement signed by Ugoma Adegoke, Director of the festival, “The festival will focus on growing trends which threaten the ideal of the modern state today. Fragmenting communities and putting up walls - it is our view that this is a result of a poor understanding of what has gone before and our connections to that. The modern African continent was built on a cause that transcended individual identities. The new continent developed a common identity and values against the enemy of colonialism and later, apartheid. These were encapsulated in the spirit of Pan-Africanism which gave vent to ideals crafted in protest and resistance – alliance and alignment with other African peoples and causes reflecting a common history and destiny on the continent and throughout the Black Diaspora.